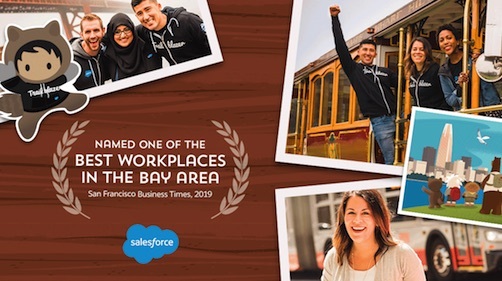 We are honored and humbled to be named one of the San Francisco Business Times' Best Places to Work in the Bay Area for the fourth year in a row, as well as one of Indeed's Top-Rated Workplaces: Best in the Bay Area. We couldn't be prouder to be featured alongside other great companies that care about creating exceptional employee experiences that earn this kind of recognition. What's our secret? It starts with our Salesforce Ohana Culture. We are an Ohana of Trailblazers made up of our customers, employees, partners, and communities. We take care of each other, have fun together and work collaboratively to make the world a better place. I've been fortunate to be a part of this Ohana since the very early days, and have enjoyed every minute of watching our company grow up here in San Francisco. And while we've grown, our core values of Trust, Customer Success, Innovation and Equality have kept us inspired and connected. Our Ohana culture comes to life through the experiences we deliver – our products, events, workspaces and in the ways we give back. I started my Salesforce journey leading Strategic Events, and now I lead our Global Real Estate team. 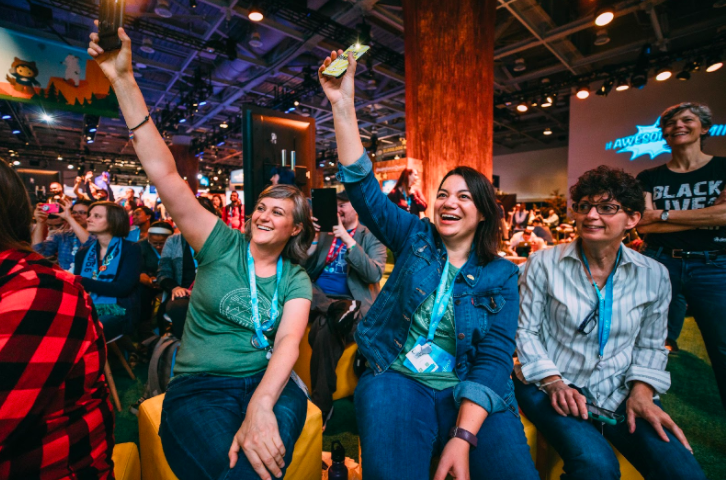 It was amazing to see the success of our community grow, as the annual Dreamforce event scaled from from 1,000 attendees to now 170,000+ Trailblazers register every fall for this sold-out experience. During that time, our San Francisco teams were also growing here at our world HQ --- in the early startup days, we had desks made from old doors laid over file cabinets, and today our global campus includes world class buildings including Salesforce Towers in London, New York, Indianapolis and of course including the brand new Salesforce Tower right here in the heart of San Francisco! 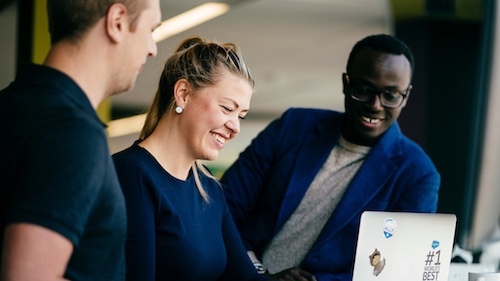 Our culture has been at the center of what makes our events memorable, and it's also at the center of what makes our workspaces a meaningful part of our overall employee experience. 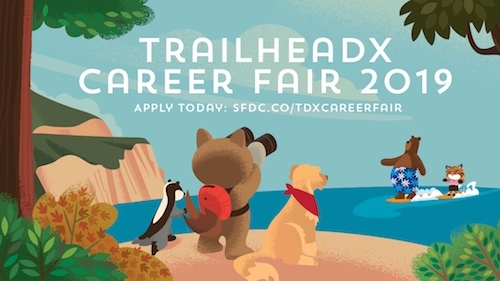 And just like Salesforce approaches every event as a unique opportunity to bring the community together and share our values and culture, we now approach each of our offices as an opportunity to do the same. 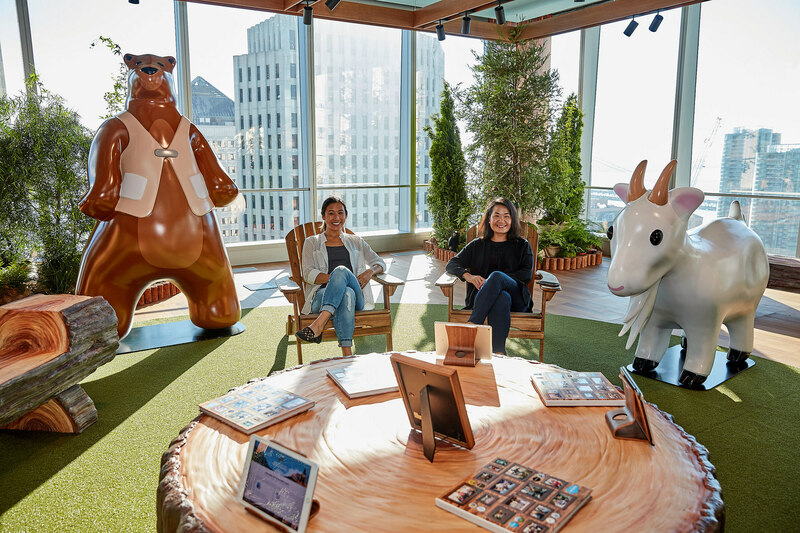 As I took on my new role leading global real estate, the goal was to capture that essence of Dreamforce and bring it to our workspaces worldwide. We started by looking at our space with a beginner's mind. We realized that our real estate is much more than simply architecture and design. It’s about creating a place that has a lasting positive impact on our whole Ohana. The space needed to represent our culture and our values by supporting our employees' productivity, creativity, happiness, and wellbeing. We looked into the things that felt important to us to see if we were on the right track. For example, with 95% of our workday being spent indoors, we found that natural light was the #1 most wanted natural element in workplace design. Did you know that with more natural light, we sleep better and longer, and are healthier and happier? Similarly, we knew we loved natural wood elements but didn't know that it could also help lead to a 15% higher level of wellbeing and creativity. The net-net is that our employees have choices that fit their unique work and working styles, and also add to their sense of personal wellbeing. We also wanted to make sure our real estate strategy extended beyond our employees to our whole Ohana. As our headquarters campus has grown, we've seen the surrounding area become the new vibrant center of San Francisco. Just as Salesforce Tower will forever transform San Francisco’s skyline, Salesforce Transit Center and Salesforce Park will forever transform the city’s landscape. The park, with special access from the 5th floor of Salesforce Tower, will be an amazing addition to the city and our urban campus, complete with a beautiful 5.4-acre rooftop public space that will feature an outdoor amphitheater, open grass areas, a children's play space, a cafe and a restaurant. 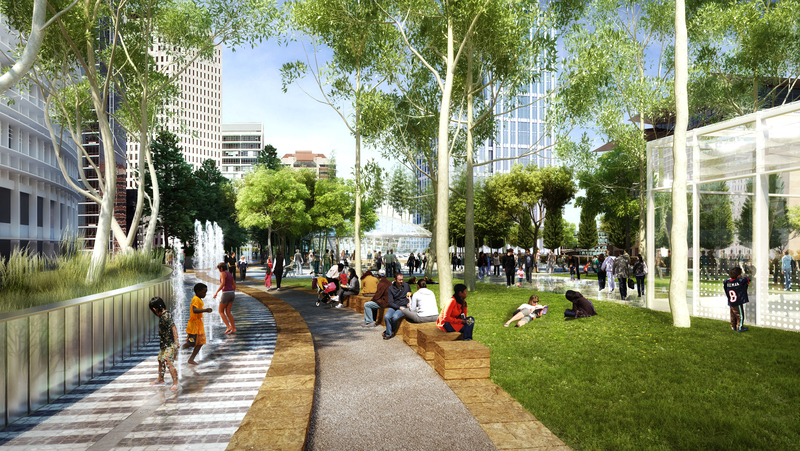 Salesforce Park will offer the local community and visitors an open space to enjoy a break from the hustle and bustle of the city. And the top floor of Salesforce Tower is what we call an Ohana Floor, a space that we will use ourselves but also open up for use by the community and for non-profit groups to use for their own events on weeknights and weekends. "Rendering by Pelli Clark Pelli, courtesy of the TJPA." Creating workspaces that support and strengthen our culture and are a meaningful part of making Salesforce a great place to work for all has been the opportunity of a lifetime, and I couldn't be more excited about where we're all heading together. Interested in joining our Ohana? 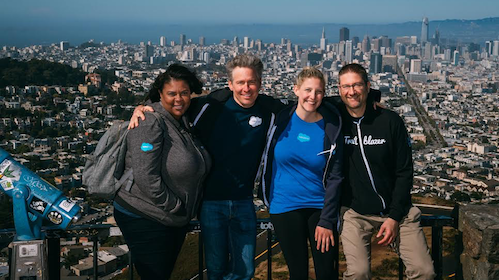 Learn more about us first-hand from one Salesforce San Francisco employees.